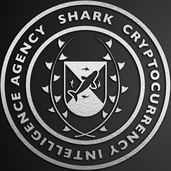 About me SharkCIA is a cryptocurrency intelligence agency specializing in the research, investing,and marketing of blockchain-based companies. This is enough for me to say that the 2018 bear market is over and bull season is likely right around the corner. First buy signal on weekly timeframe in over a year. The 2018 bear market is over, lasted 70 days less than the 2014 bear market. I wouldn't say we're confirmed bullish until we break over $4200, but I think it's safe to say the bear market has ended. The first buy signal has triggered on the weekly timeframe since Jan 22, 2018. The 2018 bear market lasted 70 days less compared to the 2014 bear market.